Millennials are often lauded for their entrepreneurial spirit, yet the majority of today’s successful startups are actually formed by middle-aged Generation Xers and Baby Boomers. While younger generations may have been raised with the go-getter, make-your-own-way mentality that defines entrepreneurship, they also lack two important factors to success: experience and accumulated wealth. Nothing can replace the experience you gain from working in a field for decades, learning the processes and nuances of the business. With experience comes the wisdom of making mistakes and learning from them — a kind of knowledge that can’t be replicated in a book or online article. Experienced veterans can also draw on old contacts to become assets for future business endeavors. Financially, business veterans have more secure footing as entrepreneurs, too. 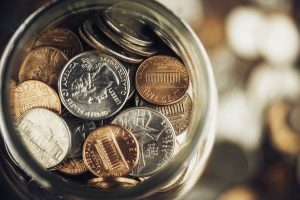 Accumulated wealth gives a corporate veteran “ready funds” to put into his or her new venture, which gives investors more confidence about parting with his or her own funds. A financially stable entrepreneur can focus more on building a successful business and making it profitable without having to worry about covering living expenses. Younger entrepreneurs can learn a lot from the mistakes and successes of others, but there is no real alternative to experience. However, you can gain the financial security older entrepreneurs enjoy by using a non recourse loan as leverage. Investing in income-producing properties can provide a steady stream of cash flow in the future. 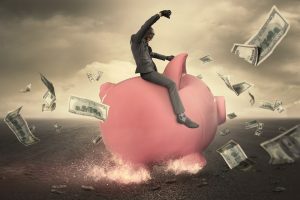 Rather than rely solely on individual retirement accounts or 401(k)s to fund those investments, why not tap into retirement funds by leveraging existing wealth accumulation into investment properties? A non recourse loan can make that possible, but only if it’s provided by an experienced and trustworthy financial advisor who has your best interests at heart. When searching for a respectable, self-directed IRA lender to help with your non recourse loan, take note of the level of communication involved before signing any loan agreement. In an age when communication is easier and faster than ever, you shouldn’t have to wait to speak with your loan officer, regardless of whether it’s by phone, text, or email or in person. So what are some simple ways to accumulate wealth? By cutting costs elsewhere. For example, rather than buy your morning cup of coffee every day, make it at home. Eliminating small daily purchases adds up. Other ways to build wealth include tracking your spending, prioritizing high-interest debt, and automating your finances (e.g., automatically putting your money in savings accounts, investment accounts, etc.). At First Western Federal Savings Bank, our close relationships with consumers are defined by high levels of trust and credibility. Our non recourse lending programs are designed specifically for investors buying rental properties with their self-directed IRA or solo 401(k). Through our website, you can find the information and resources you need to start the process of leveraging your retirement funds into income-producing assets. If you have any questions or are unsure about the process, contact Jeff Fullerton, Roger St. Pierre, or Nick Conway at First Western Federal Savings Bank today.